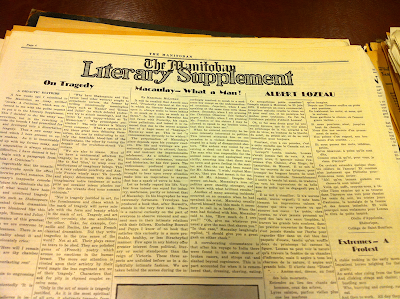 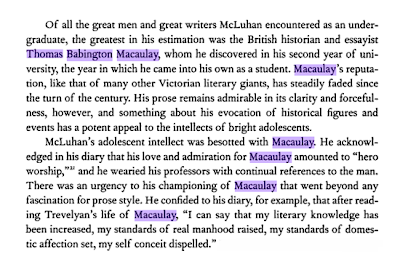 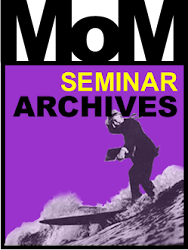 Eric McLuhan (December 22, 2010) : " He deliberately modeled his style on Macaulay … his early style, anyway." 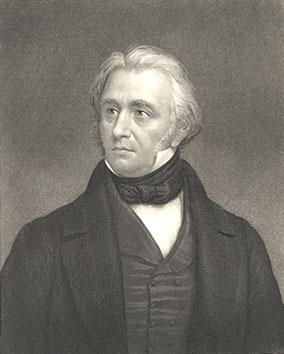 Thomas Babington Macaulay was a historian and politician who coined the phrase "the fourth estate". 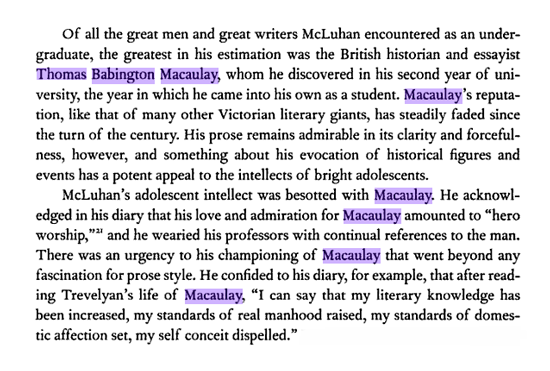 Born in Leicestershire, England, Macaulay attended Trinity College, Cambridge and published a famous essay on John Milton in the Edingburgh Review (1825) shortly before beginning the practice of law. 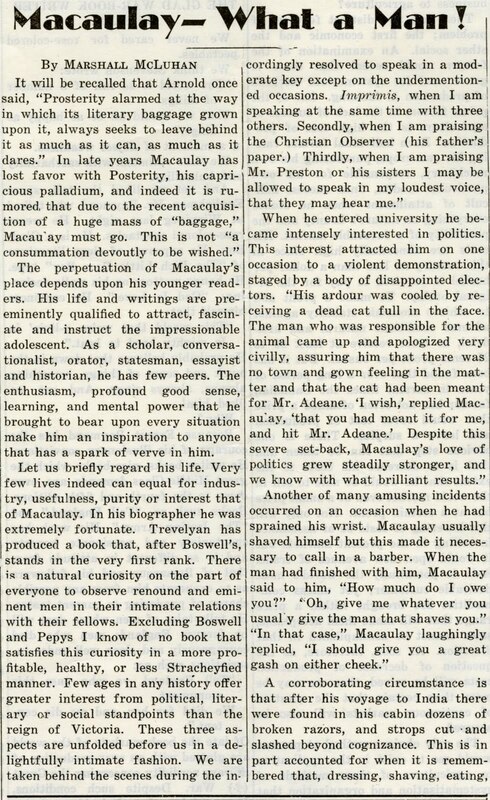 In 1830 he was elected to Parliament, where he distinguished himself as a Whig politician, eventually serving as Secretary of War (1839-41) and Paymaster-General (1846-47). 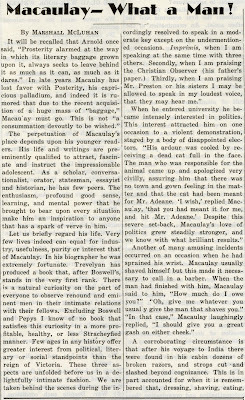 In 1842 Macaulay published a collection of poetry, Lays of Ancient Rome, and in 1843 he published the first volume of Critical and Historical Essays. 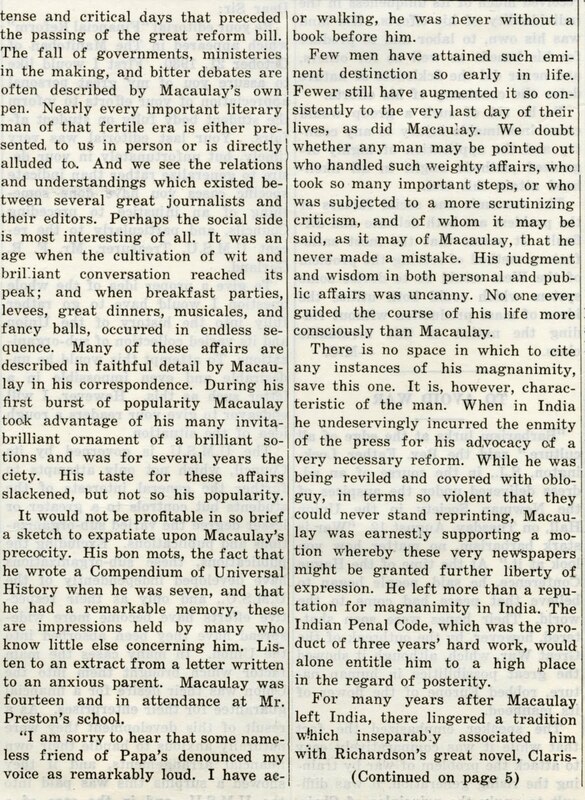 In 1849 Macaulay published the first volume of his History of England from the Accession of James II (which, strangely, seems to cover quite a lot of material from before James II; here are volumes 2, 3, 4, and 5). 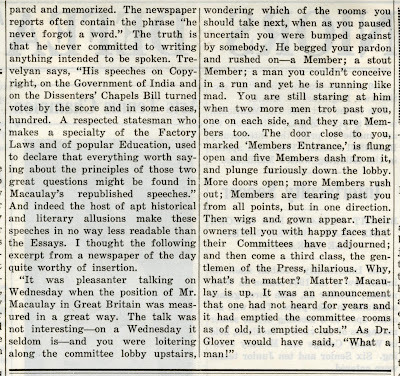 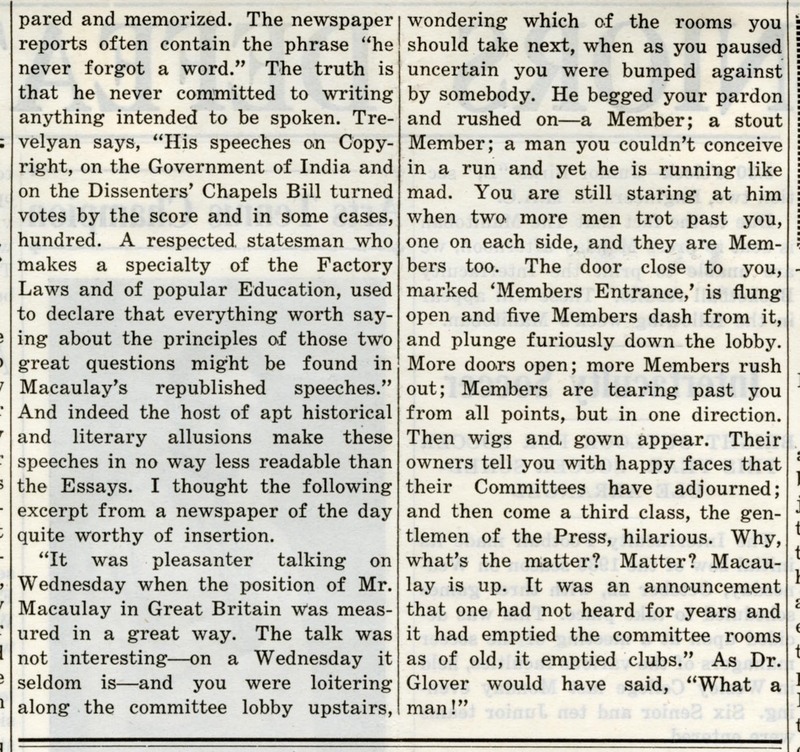 Although the history has been criticized for its overtly Whig interpretation of events, it is often considered the second-best historical work of the 19th century for "Its brilliant narrative style and its vivid recreation of the social world of the 17th [century]..." In 1857 Macaulay entered the peerage as Baron Macaulay of Rothley. 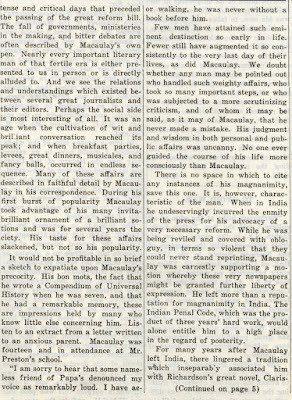 He died in 1859, leaving behind a substantial list of quotes ... " The gallery in which the reporters sit has become a fourth estate of the realm." 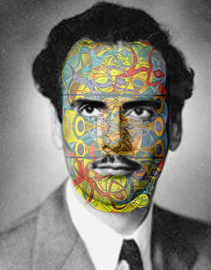 being the most famous.